Janet Taylor Lisle (born Englewood, New Jersey, 1947) writes books for young adults. Her work Afternoon of the Elves received a 1990 Newbery Honor Award. Her book The Art of Keeping Cool received the Scott O’Dell Award for Historical Fiction in 2001. Children can visit her website at: Janet Taylor Lisle. William Sleator (born Havre de Grace, Maryland, 1945; died Bua Chet, Thailand, August 3, 2011) wrote science fiction books for young adults. His works include Interstellar Pig and The Green Futures of Tycho. Simms Taback (born New York, New York, 1932; died Ventura, California, December 25, 2011) was an author and illustrator. 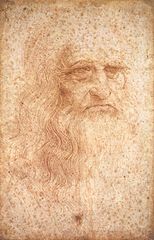 He illustrated more than 40 books. His book There Was an Old Lady that Swallowed a Fly was a 1998 Caldecott Honor Book. Another of his books, Joseph Had a Little Overcoat, won the 2000 Caldecott Medal. 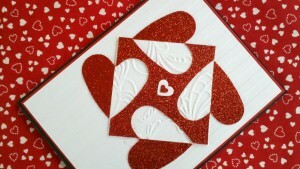 Children can visit a website devoted to him at: Simms Taback. Elizabeth (Bess) Virginia Wallace Truman (born Independence, Missouri, 1885; died Independence, Missouri, October 18, 1982) was the wife of Harry S Truman, thirty-third president of the United States. She did not like being First Lady because she found so little privacy. Also, many people compared her to Eleanor Roosevelt, the previous First Lady. She lived the longest of all First Ladies. 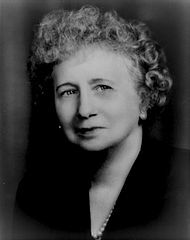 Older children could visit a website at: Bess Truman. Grant Wood (born near Anamosa, Iowa, 1892; died Iowa City, Iowa, February 12, 1942) was an artist and a teacher. He is most known for his paintings about the Midwest. 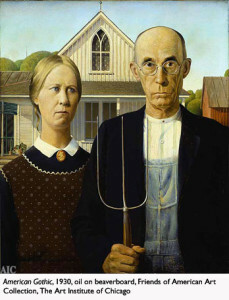 One of his most famous works is American Gothic. Idea: American Gothic is often parodied. Students could update American Gothic. Children can read more about him and see some of his works at: Grant Wood. Charles “Chuck” Yeager (born Myra, West Virginia, 1923) is a former test pilot who broke the sound barrier in 1947.